Are you a portable gamer that’s tired of the restrictions that bog down most handhelds? 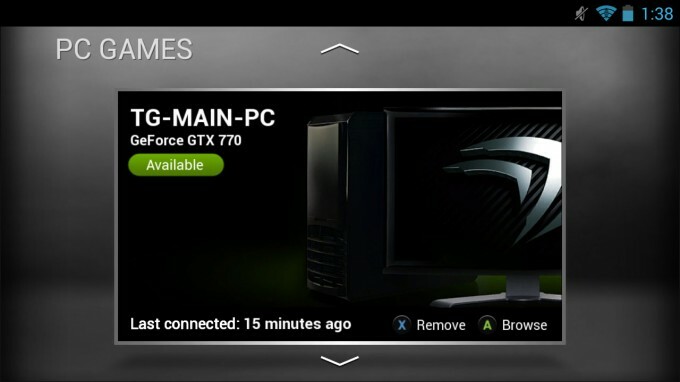 Based on Android, NVIDIA’s SHIELD portable helps fix that problem. At the same time, it even goes a step further to improve the gamepad solution. At $300, SHIELD is on the pricier side – but is it worth it? NVIDIA could have released SHIELD as a portable Android gaming machine and left it at that, but that would have been a hard sell. No one is going to call a mobile platform an “ultimate” one for gaming, after all (don’t test me!). Fortunate for us, the company had no plans to do that. 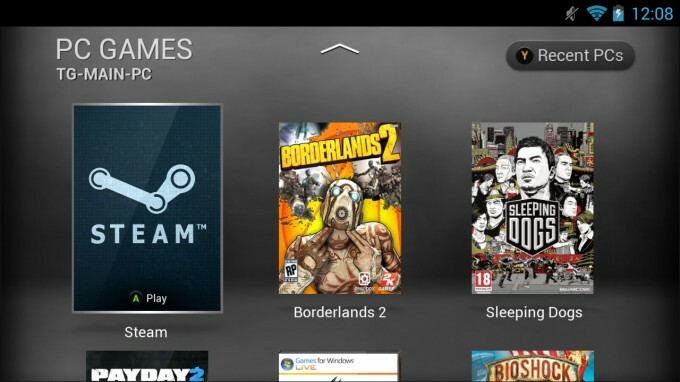 Instead, it’s designed a couple of rather creative features to sweeten the deal, with GameStream topping the list. With the help of a GeForce-equipped PC, GameStream converts real gameplay PC-side into video which is then sent over to a SHIELD in realtime. The process sounds a little complex, but NVIDIA’s designed it to make lag a non-issue – rather important if the feature is to be used at all. There’s a small checklist of things required to make use of GameStream. At the forefront, your PC must have a GeForce GTX 650 or higher – notebook GPUs are out, for the time-being. CPU-wise, an Intel i3-2100 / AMD Athlon II X4 630 or higher is recommended, along with at least 4GB of RAM. Because GameStream utilizes Wi-Fi, a dual-band router is highly recommended. In case one needs to be purchased, NVIDIA has a recommended list here. 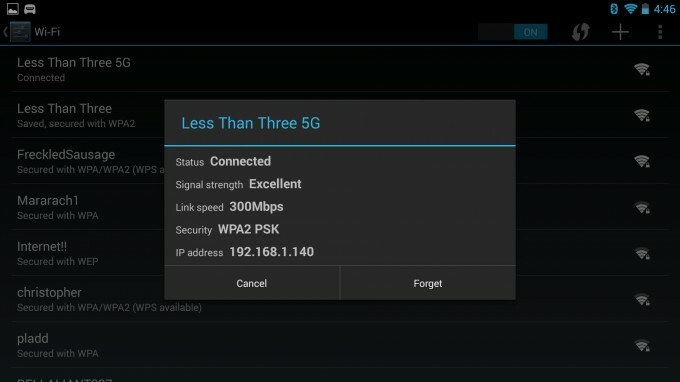 Wi-Fi is far from being a preferred method of streaming content, so it’s important to double-check connection settings SHIELD-side to make sure the experience is as good as can be. If a compatible PC is active on the network, the “PC Games” section inside of TegraZone on the SHIELD should pick it up. On the first connection attempt, GeForce Experience will require permission to engage the SHIELD. This is to prevent accidentally connecting to the wrong PC, or being a pain in someone’s backside by loading up a game on their PC while they’re in the middle of something. For some reason, scrolling down will reveal some duplicate titles, but I’d imagine that’s something a future SHIELD update might take care of (unless it’s a Steam issue, which it could be). The official game support list for GameStream is somewhat small, but that’s where the Steam box art seen above comes into play. Using that option queues Big Picture mode, allowing you to play any game currently installed on your Steam account. NVIDIA’s general rule is that if a game supports an Xbox 360 gamepad, playing it successfully through GameStream should be a straight-forward affair. In the worst case, you may have to load a game up through SHIELD while still sitting at your PC, and then once things are setup, go on your merry couch-dwelling way. Similar to GoToMyPC or TeamViewer, GameStream is a desktop sharing tool. Once launched, what you see on SHIELD, you’ll see on your PC. This means you can’t use your PC while using GameStream, which probably isn’t too much of a surprise given how complex software would have to be to get around the limitation. 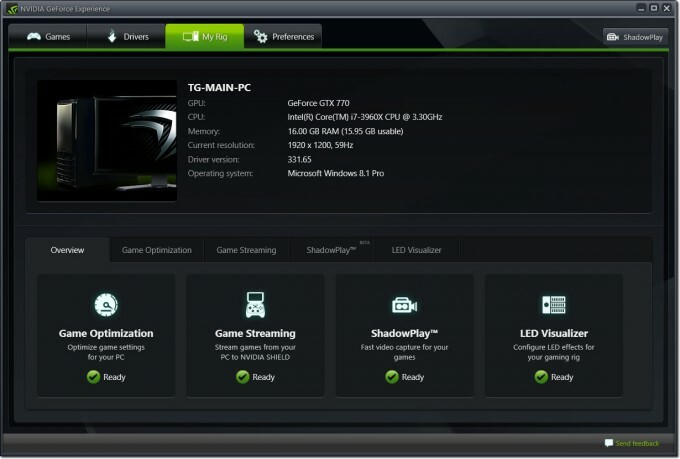 While I compare GameStream to a solution like TeamViewer, that’s not to discredit NVIDIA’s efforts here. 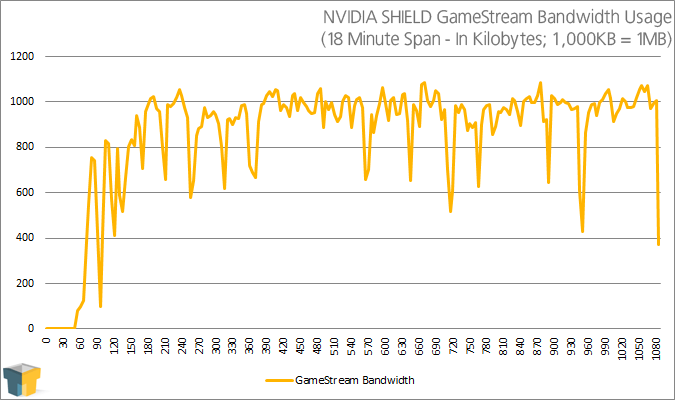 What sets GameStream apart is its gaming-focus, and its design for ultra-low latencies. One limitation to be mindful of is that GameStream won’t detect a potential Steam-related issue, such as a game that needs an initial setup, or a game that needs to update. In some cases, using the SHIELD’s virtual mouse can handle those kinds of situations better, but a pro-tip from me: If you have the bandwidth to support it, let Steam auto-update all games, and make sure you start them up at least once before attempting to run them through SHIELD. That all being said, getting into a game through GameStream is a breeze. 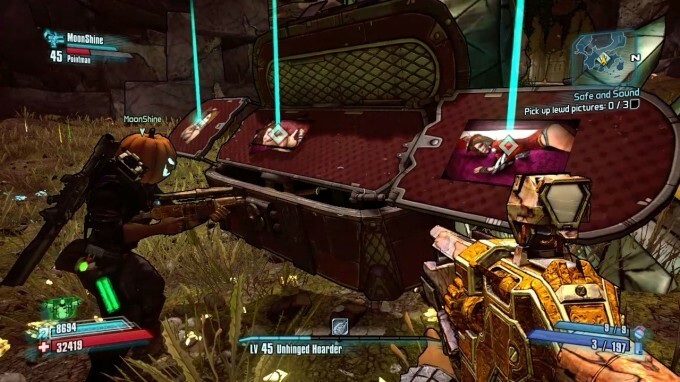 The first time I entered the “PC Games” menu on SHIELD – before even connecting to the PC for the first time – I was inside of Borderlands 2 guns blazing 3 minutes later. 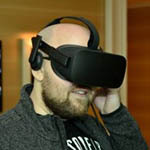 As a consumer device, it makes sense that connecting to the PC and loading a game up is made easy – but this simply surpassed my expectations. I guess there’s just something in me that always expects to have to troubleshoot. Not here, though. When a supported game is launched, GameStream automatically applies a special configuration that makes sure the game’s going to behave as it should with the gamepad and graphics configuration. 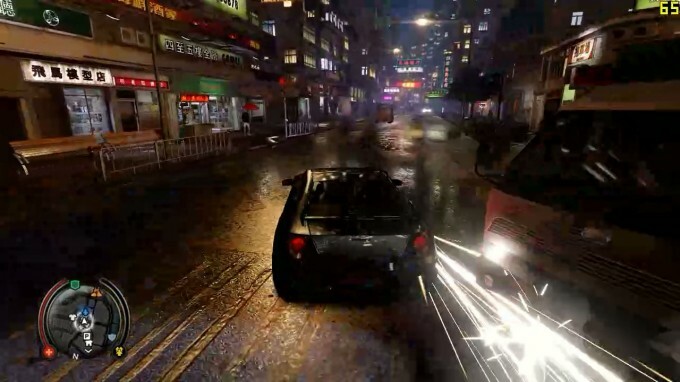 In the case of Sleeping Dogs, the graphics settings were maxed, and then the resolution was set to 720p to match the SHIELD’s display. Don’t fret: These auto-configs don’t affect your regular desktop ones. Once inside of a game, the Play button on the SHIELD gamepad can be held for two seconds to bring up the ingame menu seen above. This menu gives you a quicker way to exit the game (versus going through the normal game menus), offers you help if you need it, and also provides an onscreen keyboard in case a game happens to require it (or you need it for cheat codes). In all, I spent about five hours taking advantage of GameStream, but at least 3 of those belonged to Sleeping Dogs. Given the enormous amount of time I’ve sunk into this game on the PC, I figured it’d make for a great test of GameStream and using a non-X360 gamepad. My experiences were, as I had hoped, excellent. The gamepad itself wasn’t too much of a contrast to the X360 gamepad I’ve been used to, and it didn’t hold me back. Those who’ve played SD know that at times, fights can get pretty hectic. I played some of the rougher ones through SHIELD, and handled them just fine – and all without noticeable input lag. I admit that most of the time I used GameStream, I was in the same room as the router, and I never experienced lag in that case. When sitting in another room where the signal had to go through the wall, the performance was still good overall, but at times it’d hang up for a second or two before going back to normal. When dealing with Wi-Fi, experiences are absolutely going to vary. To help yourself out, you’re best to have line-of-sight to the router, or at least the next best thing. If you’re planning to game in a room that’s far from the router, a Wi-Fi extender might be worth looking into. During GameStream testing, I hit Pandora up with my brother in Borderlands 2 for an hour, and was impressed overall with how well I made out. While I love first-person shooters, I hate playing them with a gamepad, so playing the game this way was a real test of patience. Surprisingly though, I never felt like using a gamepad was holding me back, and after a while I just forgot about it. During all of that intense play, the streaming behaved beautifully. When playing Borderlands 2, though, I did quickly discover one limitation: SHIELD’s small screen size. I guess that’s to be expected, because a game like this was never designed for such a small screen. The limitation arises when trying to use the map; trying to figure out exactly where the diamond marker pointed to proved challenging. PAYDAY 2 would be another good example of a game that might not be well-suited for SHIELD due to its gameplay mechanics. This particular game is difficult enough with a mouse + keyboard – playing on a 5-inch display and with a gamepad… I am confident I’d never see success. The upside to these challenges is that I might be one of the few who suffer them. In the Borderlands 2 scenario, if you have great eyesight, you may have no problem playing the game on such a small display. 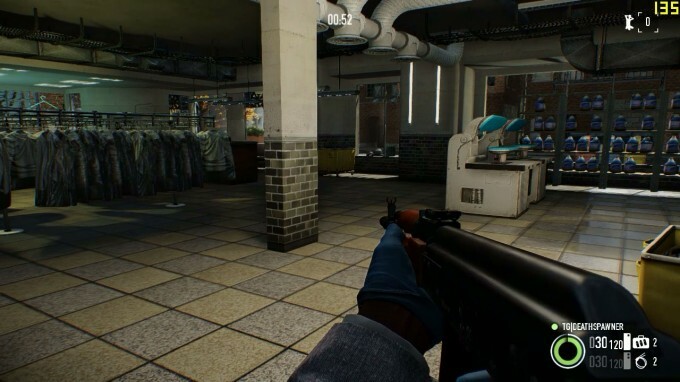 Likewise, if you’re excellent at FPS titles with a gamepad, a game like PAYDAY 2 might be just fine for you on SHIELD. My challenges really have nothing to do with SHIELD itself; instead, it has everything to do with UIs designed for large displays compressed into a small one, and also using the gamepad for FPS titles. Where a gamepad is perfect is with a fighting game. I picked up the excellent King of Fighters XIII last week, and given it’s a title not officially supported, it gave me a perfect opportunity to see how it managed through GameStream. While the game loaded just fine, the gamepad didn’t work once at the menu; the game simply had no idea that it existed. To fix this, I turned on my Xbox 360 gamepad, at which point the game enabled gamepad capabilities, which in turn allowed me to use SHIELD’s gamepad. It’s a workaround, but it worked. Because GameStream transmits video, rather than actual rendered graphics, compression might be noticeable at times. Like all video streams, when the scene is calm and quiet, it looks the best. When the action is fast, things take a turn for the worst. An example of noticeable compression can be seen below. Thanks to SHIELD’s small screen size, even bad compression like what’s seen above won’t be noticed when using the device, and that’s something I can’t stress enough. As I was gaming through GameStream for the first time, I couldn’t believe the clarity of the game I was looking at. It wasn’t until I looked at some screenshots I took after-the-fact that I realized the image was littered with compression artifacts. 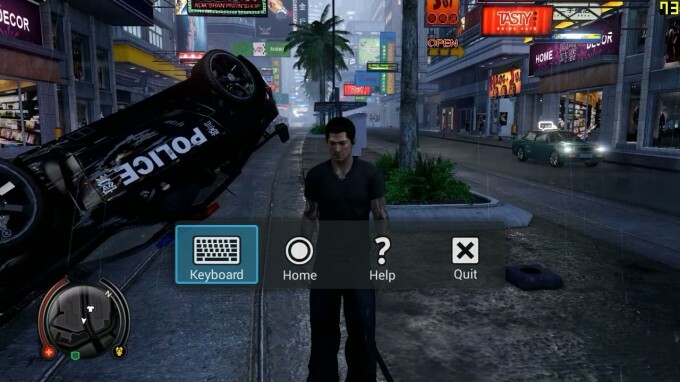 Compare the above action scene in Sleeping Dogs to the one higher on the page where I show SHIELD’s ingame menu. 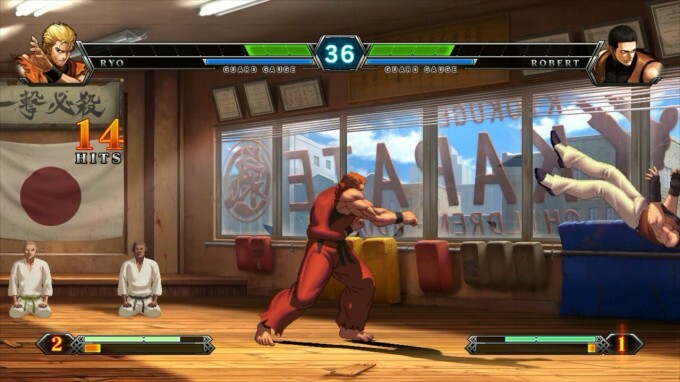 As I mentioned, when still, the game looks crisp; in action, the stream might not be super-clear, even though it might appear to be so on the small display. To get an idea of what kind of bandwidth GameStream uses, I monitored an 18-minute run of – you guessed it – Sleeping Dogs. During this time, I went in an out of menus a couple of times, drove around the perimeter of the entire landmass, and took care of some missions. After compiling the data, it became clear that SHIELD is tuned to not exceed 1MB/s throughput (10Mbps) – and it does vary; it’s not a locked value. At 8Mbps throughput, it seems likely that the compression is caused more by the fact that NVIDIA is trying to get you the image as fast as possible than it does an encoder or speed issue. NVIDIA might be able to quintuple the amount of allowed bandwidth, but realistically, 8Mbps is plenty. A good 720p movie rip is 5Mbps, by comparison, and those look fantastic on SHIELD – here’s an example of a streaming American Gangster with those same parameters. The upside to all of this is that the artifacts can’t be seen on the small screen, and as NVIDIA fine-tunes things, even that issue might disappear. I hate to call it an “issue”, though, given it’s not going to be noticeable when looking at the SHIELD – but it does ruin the chances of taking some ingame screenshots, unless perfectly still.